I love this cover too. For years, I thought Misty was actually called Stormy Misty, although I'd read the actual book more than enough times to know that wasn't the case. best. The Beebe ponies survived and Misty foaled safely but many of the Assateague herd perished in the storm. At the annual auction, some of the ponies are tagged as "Buy Backs". They are still put into the auction, but they return to the island to breed. The winning bidder gets to name the pony, and these Buy Back ponies sometimes achieve the highest auction prices. Armada, whose coveres have been getting a bit of a psting from me over the past few days, did do some lovely ones too. 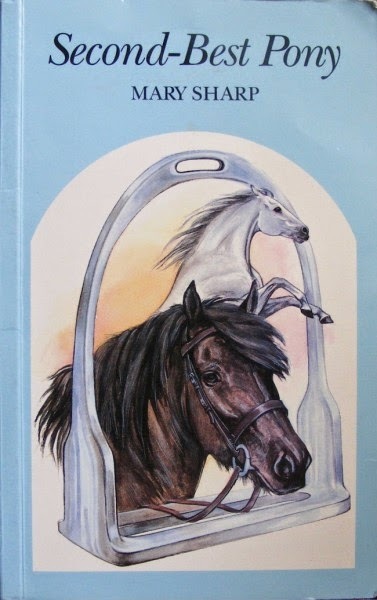 I'm particularly fond of the ones they did for the Marguerite Henry titles they published (King of the Wind, Sea Star, Stormy - Misty's Foal, and Misty). The Armada version below is the one I had. I actually prefer the cover illustration to the Wesley Dennis original (heresy), though the Armada version did keep the black and white illustrations of the original. The main point of the Misty stories is the annual Pony Penning and swim that takes place every year, when the ponies are swum from Assateague Island to the island of Chincoteague. In the few days before the swim, the ponies are gathered into corrals, and then swum over. They are then rested, and the foals go to auction. This is a fundraiser for the Chincoteague Volunteer Fire Company. Today's PBOTD is the first of a (probably) brief series on the sort of book cover you hope your over-protective mother will never see: those in which the hero or heroine falls off. I would think this is a cover subject that's had its day, as the only cover you get these days is the photo cover, and I simply can't imagine a publisher wanting to navigate the shark-filled waters of health and safety necessary to get a shot of someone falling off. So, make the most of these (there will be a break in the next couple of days to accommodate a rather special event in the US equine calendar). PBOTD for 28th July is Mary Gervaise's The Secret of Pony Pass. This is the last in the G for Georgia series, and was published in 1965. I have been hammering Armada in recent posts for their covers, but the Armada reprint of this title isn't all that bad, by comparison. It's a relatively inoffensive photo cover, but the original by John Raynes is another of those hang on to the pony's mouth efforts. PBOTD for 27th July is another from the rich seam of duff Armada covers. 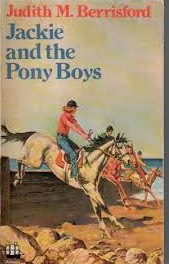 It's Judith M Berrisford's Jackie and the Pony Boys. This cover is a particularly awful example of the backward seat - why Misty has her ears forward I simply do not know. Could there be any more weight dragging on that poor pony's mouth? The PBOTD for 26th July is Christine Pullein-Thompson's Riders From Afar. Originally published in 1954, this was one of Christine Pullein-Thompson's earlier books. It's set at a castle, lived in by a poverty-stricken family who are renting the castle to an American family for the summer to raise money. The children are not looking forward to this at all, but the Americans prove to be a pretty decent lot. The original had one of Charlotte Hough's more wispy covers, but it suffered a little when it was reprinted in paperback by Armada. Armada's cover artists visited some pretty horrible riding efforts on the pony book reading public in the 1960s, and this is one of them. It's particularly ironic if you bear in mind how agin the backward seat the Pullein-Thompsons were. Now the Royal Welsh is over, I'm moving on to a series which was inspired by the recent series I did on bad pony book covers. 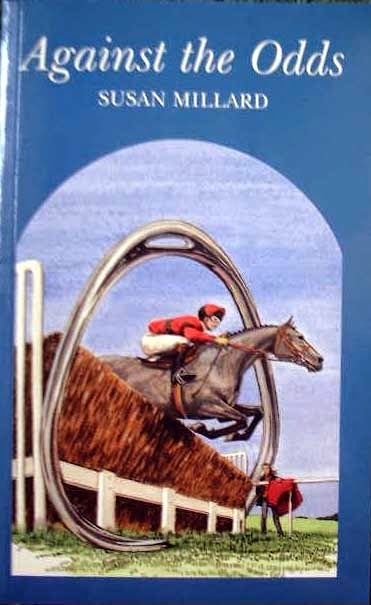 This book, and those for the next few days, show bad riding; or at least riding practices that are now out of date. If you have any particular favourites you think I should feature, do let me know. I have a few beauties lined up but there's room for more. I'm starting fairly gently with Diana Pullein-Thompson's Horses at Home/Friends Must Part (1954). This is an unusual book, made up of two novellas. 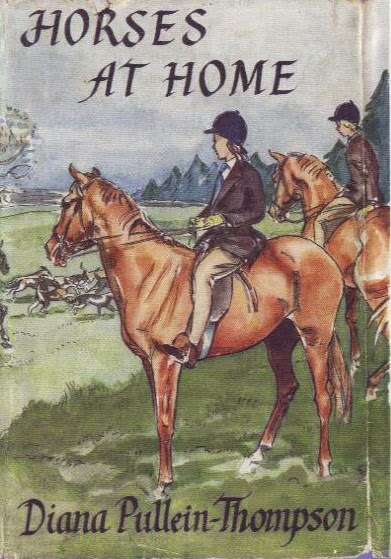 The original dustjacket, by Sheila Rose, shows the lower leg position I was taught as a child, and which I have spent the rest of my riding life fighting. 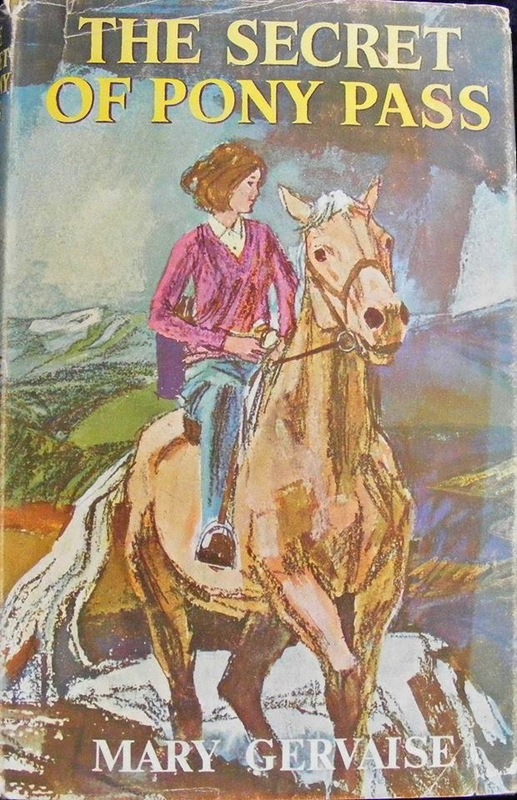 I can't do a series on Welsh ponies without featuring the uber Welsh pony of the pony book world: Judith M Berrisford's Misty. 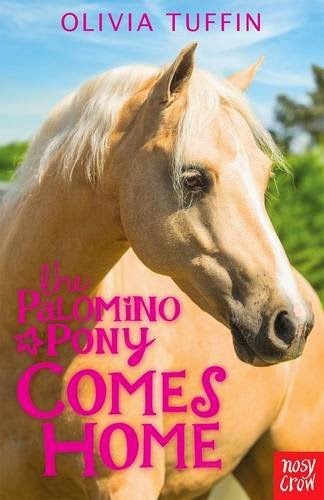 Misty is the pony Jacqueline Hope wins in a competition, and who stars with her in a sixteen book series that was for decades the longest British pony series. Jackie and the Pony Trekkers (1963) sees Jackie and Misty, and Jackie's cousin Babs, embark on their usual holiday adventure away from their family. Jackie and Babs are off to help at a pony trekking centre in Wales. 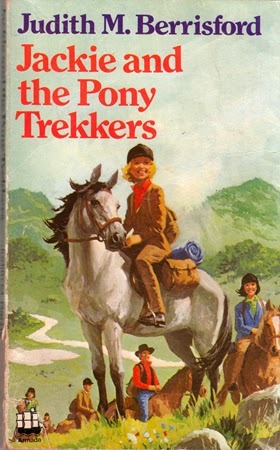 Although Jackie and Babs constantly want to help, their efforts always meet with failure, at least to start with, and so it goes with Jackie and the Pony Trekkers. Misty is denounced as a kicker, and Jackie and Babs get the blame for anything and everything that goes wrong after that: and a lot does go wrong. As ever, they manage to redeem themselves at last. 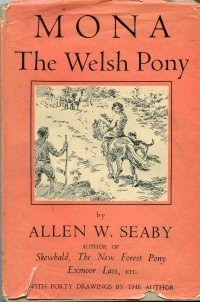 The Welsh pony is just as loved in America as he is in the UK, and he features in several American pony stories. 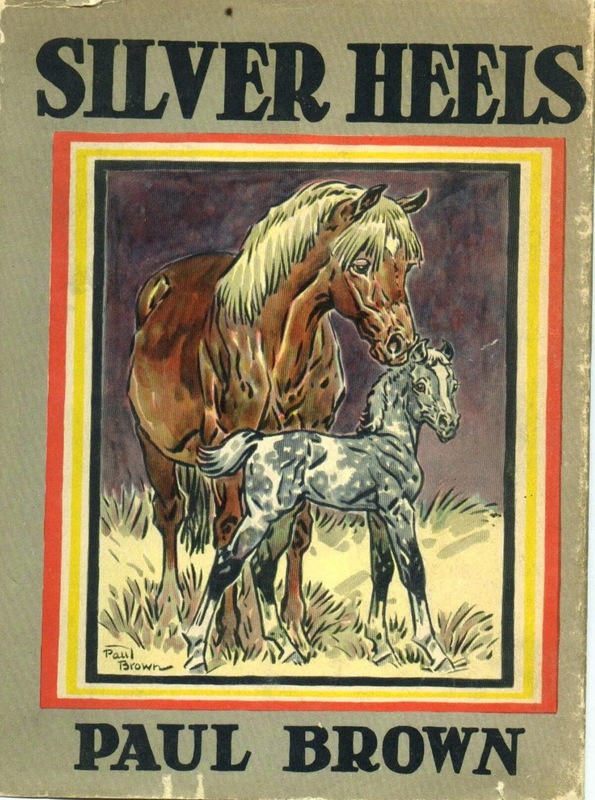 Probably the most beautiful of them is Paul Brown's Silver Heels (1951). It's the story of a part Welsh pony who was a natural jumper, and who felt it was his duty to join every fox hunt. When he heard the hounds, there was no keeping the pony in, no matter where you'd put him. The PBOTD continues to focus on the Welsh pony. The Welsh pony, almost uniquely, is a British breed which is not endangered. Virtually all other British breeds of pony are, with the exception of the Shetland, who is probably too bloody minded to become rare. When I think back to the ponies I rode in my youth, most of them were of ancestry so mixed it would have been hard to identify anything, but those who laid claim to an actual breed were all Welsh. Grey Ghost was Carolyn Henderson's first work of fiction. It was published in 1992. Carolyn has not stood still since then: she's written over 30 non fiction titles on the horse, ranging from children's books for Dorling Kindersley to works on showing for J A Allen (including a book on showing written with Katie Jerram). The Grey Ghost is one of the earliest incursions into pony book fantasy. Heroine Corinne finds a plaque with Grey Ghost’s name on it in the tack room of an old house. Corrine’s riding school is threatened with closure, so she’s not sure if she’ll be able to keep up riding. Her father is long absent, and Corinne wants to trace him, but will this cause even more problems with her mother? It'll be interesting to see how this dream-come-true story matches up with Carolyn's latest book, which will be a coming of age story aimed at teenagers. Published by new equestrian fiction house Forelock, it's called Beside Me. 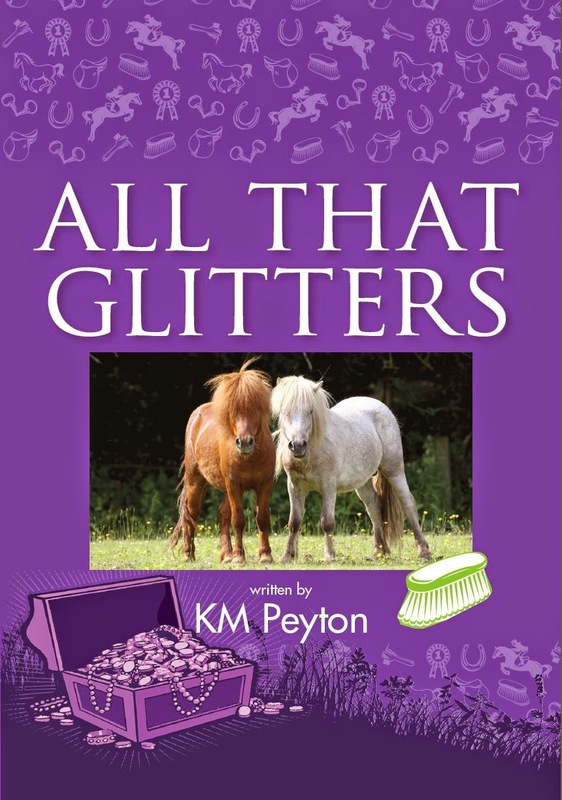 We're now half way through the pony book year, and as a rather perverse sort of celebration, here's a gathering of pony book covers that are, shall we say, less than successful. These covers are all from books I've already featured, and that regular villain of cover illustration, the Children's Book Club, features again. Here they are with Monica Dicken's Cobbler's Dream. As so often with CBC, the background is lovely: the horses alas, not so much. K M Peyton did a fine job of illustrating her own books. Here's her cover for the brilliant The Team. and here's the American reprint. America was much keener on Vian Smith's works than his native UK, and printed one that never appeared in Britain, Green Heart. 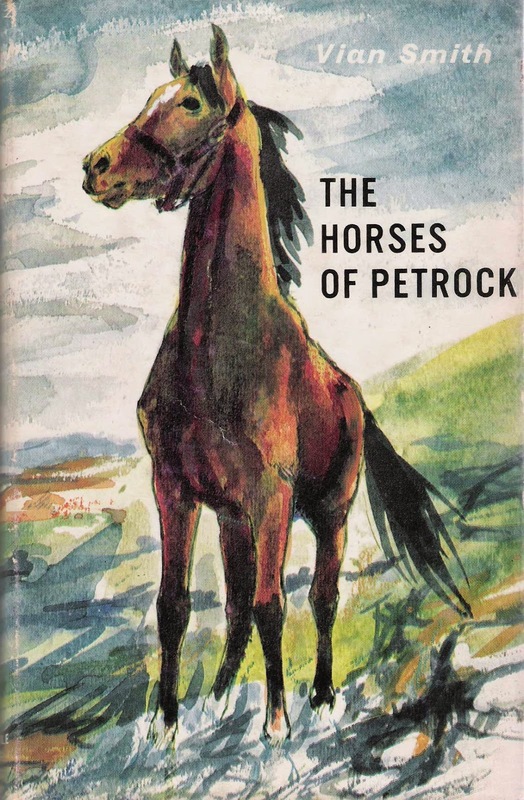 Most of the American reprints were retitled, as was The Horses of Petrock. Here's the American version, which was printed by Doubleday in New York in 1966. There are some books which only every go into one edition, which when you are Kathleen Mackenzie's Nigel Rides Away, is a shame. I don't know if Violet Morgan, who did the internal illustrations, was responsible for this. It doesn't look much like her work. Violet Morgan, incidentally, was one of Kathleen Mackenzie's sisters, and she illustrated most of her books. If any cover ought to appeal to the current love for all things vintage, it's this one, with it's beautiful girl in her simple frock, the vast teas and ices tent, the stalls (I'm sure there's bunting) and the general air of rural jollity. There's some very odd stuff going on in the background. After K M Peyton’s long and illustrious writing career, no one could blame her for deciding to hurl her pen across the desk and spend the rest of her life in her garden. But she hasn’t: after her semi-autobiographical When the Sirens Sounded, she’s returned to children’s literature with All That Glitters. Out of all K M Peyton’s recent stories, this is the one I’ve enjoyed the most. It’s written with a much lighter touch than most of her books: the passion has been blended with humour.